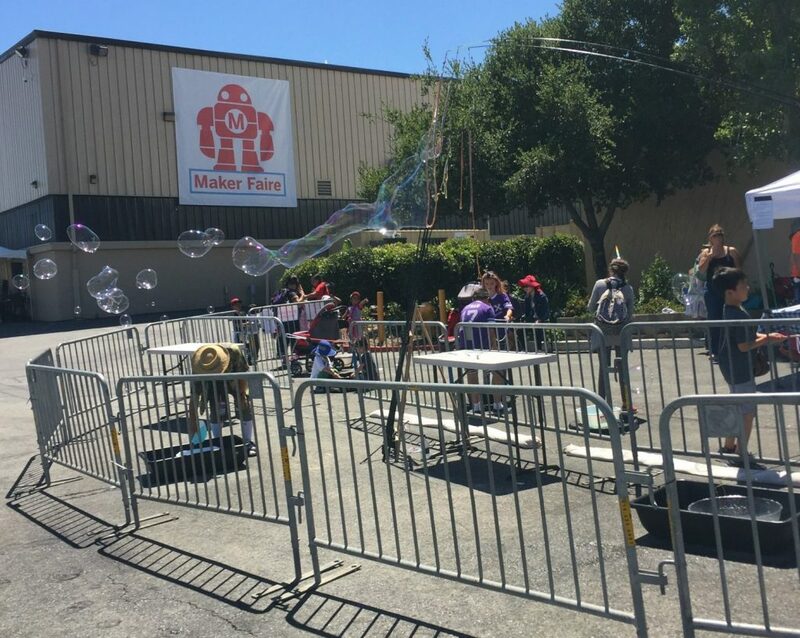 This last May, ShopBot headed to San Mateo, CA for Maker Faire Bay Area, the West Coast’s premier gathering of makers, tinkerers, creators, and thinkers. 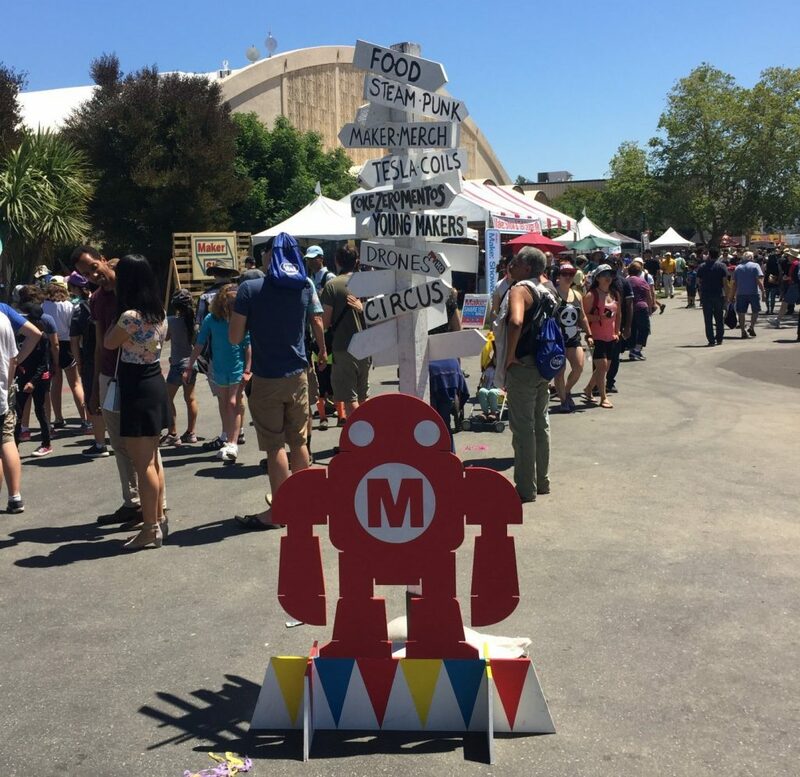 While the event’s intensity and creativity was familiar to past Maker Faire events, there was also a distinctly Californian vibe to all of the proceedings, from the consistently beautiful weather to the intense arts and entertainment-driven crowd. Sunshine was in no short supply at this year’s event, making for some wonderful outdoor displays. 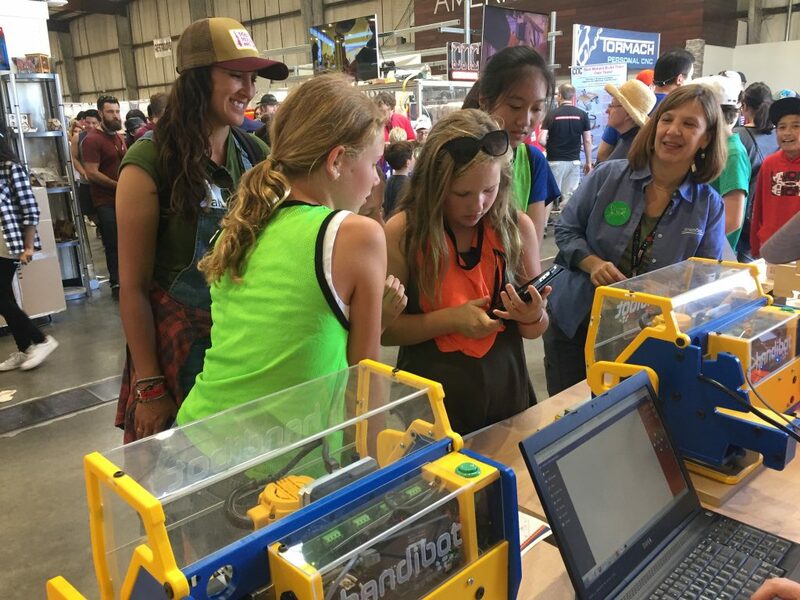 The ShopBot booth was the first to greet Makers as they entered the gargantuan Warehouse 2, which housed all of the event’s fabricators, craftspeople, maker spaces, and science displays. At the booth were two Handibots cutting badges with the FabMo Badger app, and a DesktopMAX cutting skateboards, which were a huge hit at New York Maker Faire back in October of last year. In addition, the ShopBot team was joined by Russ Wade, who drove all the way from Chiloquin, OR to help out and show off some of his fantastic O-scale model train buildings and boxcars cut on a ShopBot. 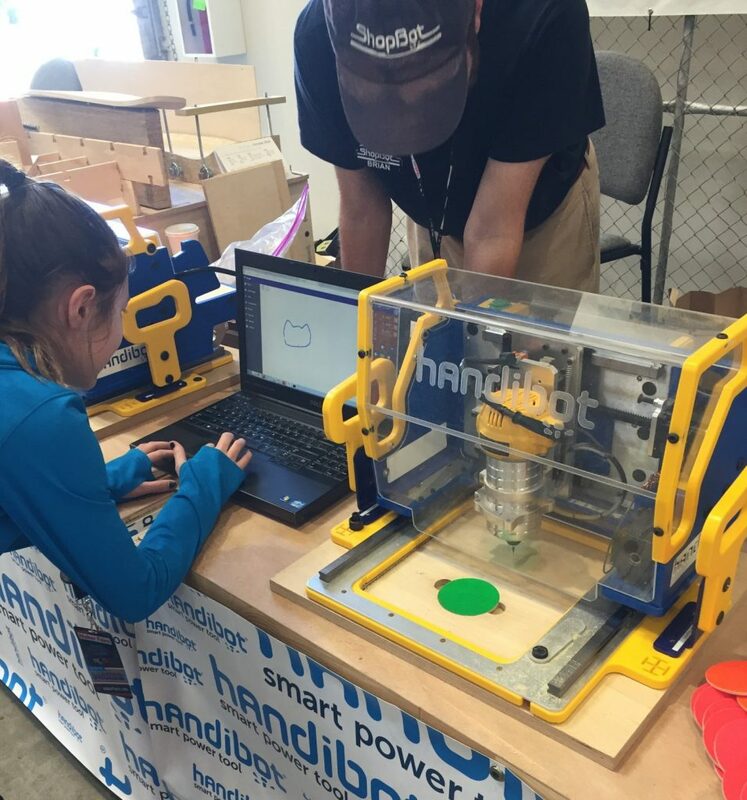 One of the most rewarding and engaging activities at the ShopBot booth was showing off the Handibot’s capabilities to Makers of all ages with personalized name tags cut on the FabMo Badger app. Similar to SmoothSketch, which turns an image drawn on a tablet or device into a cut file, Badger scales the image down to fit on precut colored badges made exclusively for the event. Each one has a small magnet stuck onto the back which not only prevents people having to deal with pinning them to fabric, but also holds it in place in the jig while the tool cuts. The magnetic backing holds the badge in place while the Handibot cuts. 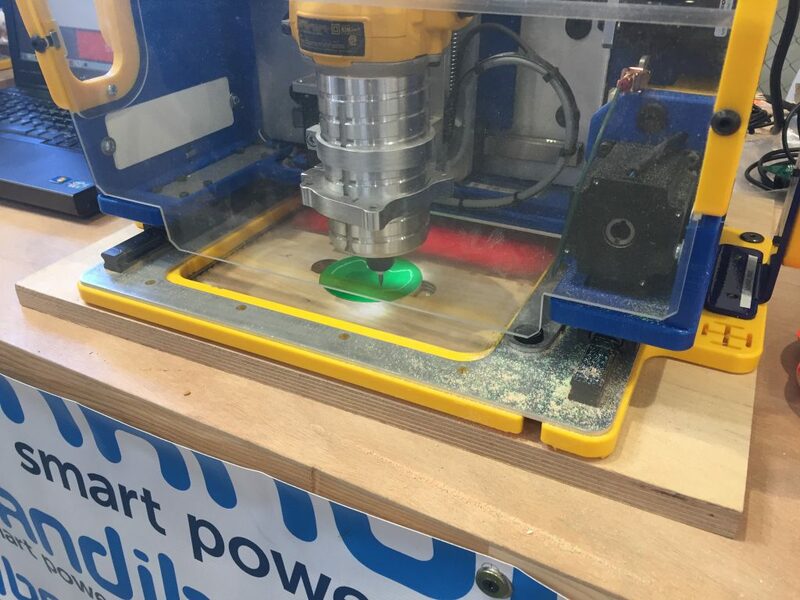 Visitors to the ShopBot booth were able to choose from one of three colors and two shapes, then were able to draw or write with their finger on the provided tablets. Upon submitting the file, the FabMo control software did the rest of the work and sent the job to the tool wirelessly. Makers of all ages were entertained watching their quick designs turn into permanent carvings, with some even returning later to show their friends. Onlookers watch as a young Maker designs her masterpiece. This group returned several times to spread the word to friends. 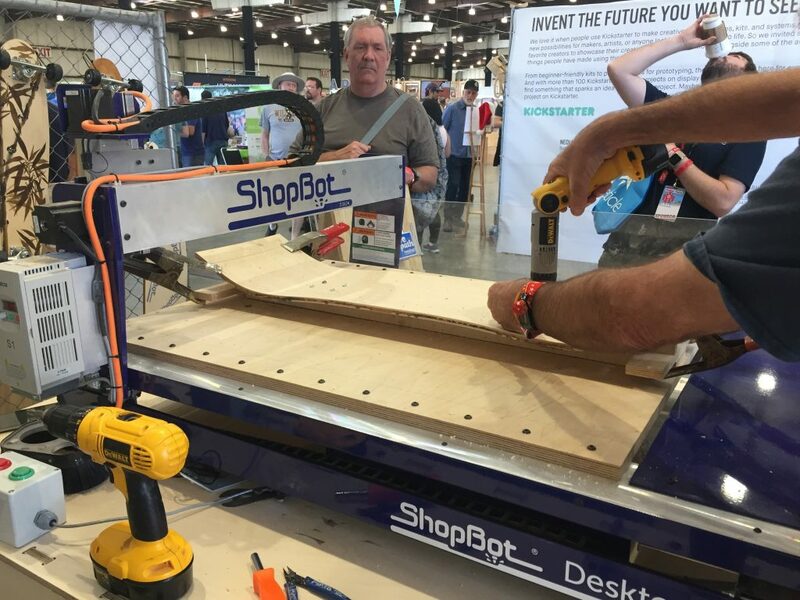 In addition to the two Handibots, the ShopBot team brought along a Desktop MAX, which cut several Skateboards over the course of the three-day event. Building off of a method conceived by Bill Young, the MAX was set up with a jig designed to hold the material. The boards themselves started off as three layers of 1/8″ baltic birch glued together, then placed in a specially designed clamp to provide the curves as it dries. For MFBA 17, the ShopBot team brought along six pre-glued, ready-to-cut boards. Screwing the ready-to-cut board down to the jig on the Desktop MAX. #ShopBot at #MFBA17 cutting #skateboard decks on #DesktopMAX! 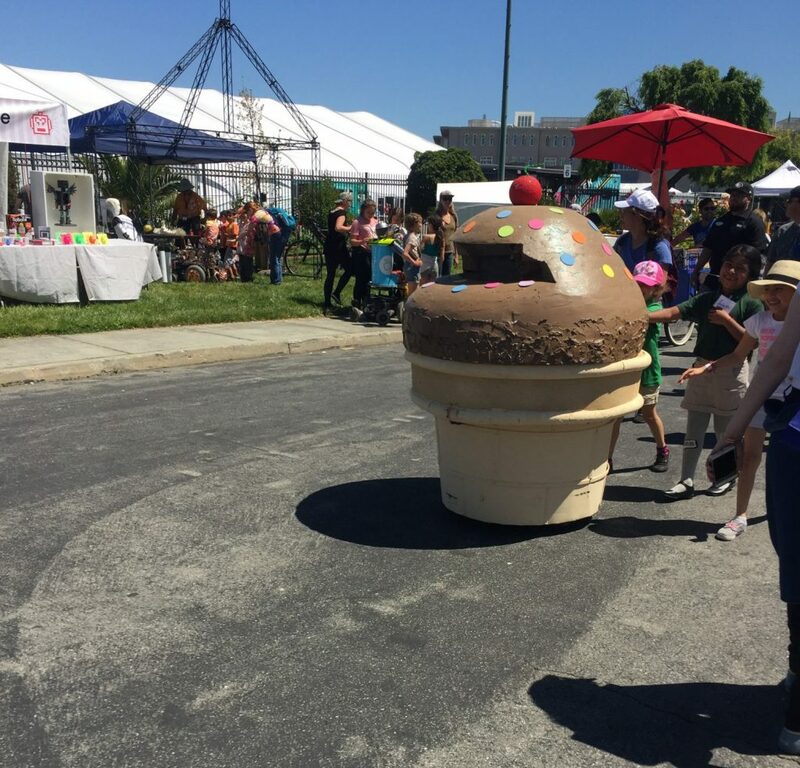 One of many “cupcake cars” weaves its way through the crowd. The spirit of creativity and collaboration was in full force all around the event. From small tinkerer’s shops all to the way to tech giants like Google and Microsoft, everyone came together in the spirit of making cool stuff. It was great to take part in an event with such a passionate, inquisitive, and unique crowd. We can’t wait for the next one!